At present, a number of countries including China announced the future will ban the sale of gasoline and diesel vehicles to achieve the full motorization of the car. Traditional Chinese service station is now facing a historical critical moment of ‘business transformation’. The After Market (AM) is a key within the transformation, which refers to all kinds of markets after the sale of the whole vehicle, including oil. The elements of AM can be selling products of a service station. However, the satisfaction level of user experience is the key to the AM and company strategies to service station. The aim of this paper is to investigate potential recommendations for the potential best practices of service station based on user experience design. However, the potential best practice guide has the limitation that it examines what is already existing, rather than delving into the problem areas to identify new reference frames that can then provide information on the future of service station design. The case study methodology has been adopted to investigate the problem which included desktop secondary research and 5 site visits. The context then has been examined in which illustrate the factors, such as service station onsite factors (i.e. visual display, architectural layout and structure, onsite refueling service journey including service store shopping journey), and offsite factors (i.e. internet+ operation factors, and customer management factors), which contribute to the better user experience design. 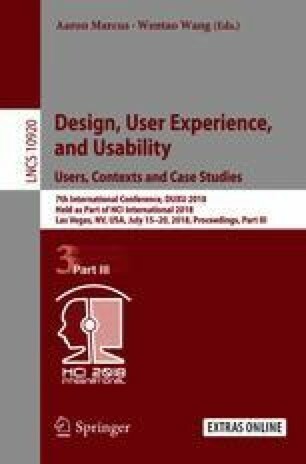 This leads into a potential framework that examines the measures that exist to improve user experience. The authors wish to thank all the people from Sinochem Oil Guangdong Co., Ltd, who provided their time and efforts for site investigation. This research is supported by Sinochem Oil Guangdong Co., Ltd and South China University of Technology (SCUT) project funding x2sj-D5170570, SCUT grant j2rs/K5172210, and Fundamental Research Funds for the Central Universities 2017ZX013.